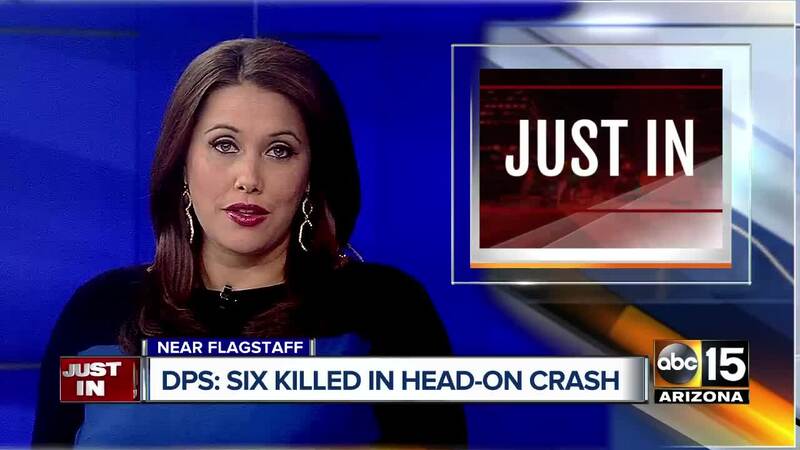 FLAGSTAFF, AZ — Six people were killed in a head-on crash north of Flagstaff on Saturday evening, according to the Arizona Department of Public Safety. Just after 5 p.m., a maroon Kia passenger car collided with a black Hyundai passenger car on US-89 at milepost 471.3. Officials say two people were killed in the Kia and four were killed in the Hyundai. The victims have not been identified at this time.